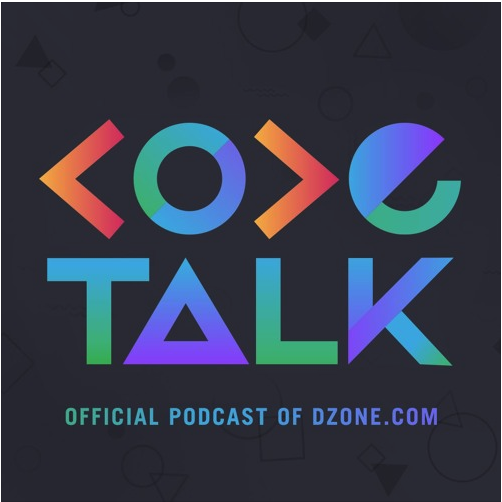 Continuing our focus on Jakarta EE, for the seventh episode of CodeTalk, we speak with Mike Milinkovic, Executive Director of the Eclipse Foundation and Director of the Open Source Initiative, to talk about the Eclipse Foundation and what's in store for Jakarta EE. Thanks for tuning in to another episode of DZone's CodeTalk Podcast where hosts Travis Van and Travis Carlson have early conversations with the creators of new developer technologies. For the next few episodes, we'll be stepping outside of our usual coverage to interview a series of folks on Jakarta EE (the platform formerly known as Java EE) to hear from a number of perspectives on what the switch from Oracle governance to Eclipse means for developers. Check back every Wednesday for a fresh episode, and if you're interested in being involved as a guest or have feedback for our hosts, scroll down to the bottom for contact information. Also be sure to check out the previous episode in our Jakarta series, where Travis and Travis both spoke with Jonas Bonér, the original author of the Reactive Manifesto and CTO at Lightbend. For a long time, many developers have associated Eclipse Foundation with the popular Eclipse IDE. But late last year, Eclipse Foundation took over governance of Jakarta EE. As part of our ongoing look at Jakarta EE directions in the post-Java EE/Oracle/JCP transition, we'd like to offer DZone's community more insight into the foundation now steering one of the world’s most ubiquitous enterprise platforms. We recently sat down with Mike Milinkovic, Executive Director of the Eclipse Foundation and Director of the Open Source Initiative, to talk about the Eclipse Foundation and what's in store for Jakarta EE. Since 2005, Eclipse Foundation has been focusing on run-times (350 different projects, across IoT, science, geospatial, etc.) — we learn more about Eclipse Foundation's credentials beyond the IDE work. What is the thought process behind open source projects that look to a foundation for governance and growth? Defining specs, compatibility testing, licensing — how the mechanics of governance work in general, and the important role they play in long-term reliability of software. How does Eclipse Foundation compare/contrast to Apache Foundation and Linux Foundation? How did the governance process previously work around Java EE with the JCP, and what are Eclipse Foundation’s goals for governance with Jakarta EE? We're still in the early stages here with the relaunch... and to those following along, what I'm about to say will sound familiar. Anyway, we hope to soon give our CodeTalk landing page a facelift and are going to house all future and past episodes in this one place.